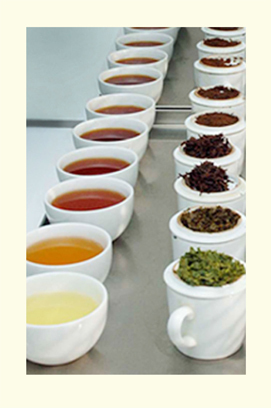 At Barrington Tea we only start with the very best hand picked tealeaves. Only the best will become Barrington Tea! From the fields, the tea is brought to the drying rooms where the tea is carefully prepared for further processing. Here the tea is let to air and whither in preparation for the next phase. In this process the oils in the tealeaves that give it the unique taste will start to come out. From the drying rooms the tea goes to the rolling machines where they ferment and acquire the visual characteristics that are prevalent in premium Barrington Tea. From the rolling machines, the tealeaves are brought to the grading stations where they are sorted and sent to the packing machines to be placed in packages. Inside our warehouse, the finest teas from around the world are packed and prepared for shipment from our house to your house. Experience the elegance of Barrington Tea and enjoy a cup today.